Did you know that Cats Protection is more than just a charity that helps cats in need with rehoming, neutering schemes and feral cat care? They also provide a range of free services which offer cat owners advice on a wide range of issues. Anyone is free to use these services & thousands of cat owners do every year. Here, we outline three services available to cat owners on very delicate and, sadly, common subjects, which may be desperately needed by members of the public when they feel they have nowhere else to turn. This is Cats Protection's free support service to help grieving owners. 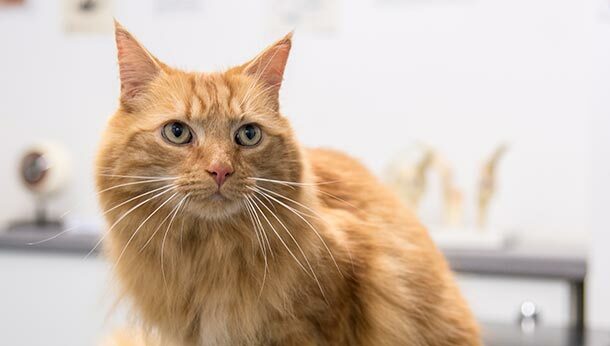 Whether a cat has passed away, has been rehomed, is seriously ill or gone missing, trained volunteers are here to offer emotional and practical help to owners at the most difficult times. As well as a dedicated confidential grief helpline, the service also provides a series of online free guides on sensitive issues such as euthanasia. No one should have to go through the trauma of losing a cat alone, yet a survey conducted by Cats Protection highlighted that over a third of owners felt there was not enough support to help people cope with the loss of a cat. The paws to listen line is open Monday to Friday 9:00am - 5:00pm on 0800 0249 494. In addition to this, the Blue Cross also run a free bereavement helpline for pet owners every day from 8:30am - 8:30pm on 0800 096 6606. A free service dedicated to helping families fleeing domestic abuse. In that terrible situation, not knowing what will happen to a much loved cat often causes more distress and turmoil. The problem many families face is that refuges do not take pets. Paws Protect is a pet fostering service through which a family can leave their cat with one of the caring fosterers provided by Cats Protection. That fosterer will care for the cat until a safe place has been found to live for the owner and they can be reunited. Currently, Paws Protect only operates in certain areas, but you will be pleased to know that Kent is one of those areas. Please go to www.cats.org.uk for more information. Ever worried about what would happen if you passed away before your cat? The Cat Guardian service is here to answer that worry which is shared by many cat owners. At the heart of this free service is a simple promise: Should anything happen to you, we will care for your cat and find them a loving new home. Cat Guardians has done just that for thousands of owners and offered them peace of mind, ensuring their cat’s future is in safe hands. Cat guardians is a free service, however, many cat owners do choose to say thank you for the service by including a gift to Cats Protection in their will. It is entirely your choice and there is no pressure. This is not the happiest of subjects to share about. However, these things are sadly a reality of life and it is such a relief to know that there is someone to turn to for help or even advice in times of adversity, sadness, loss, frustration or doubt when it comes to your pet. Hopefully, this will help you or someone you know, when they really need it the most.